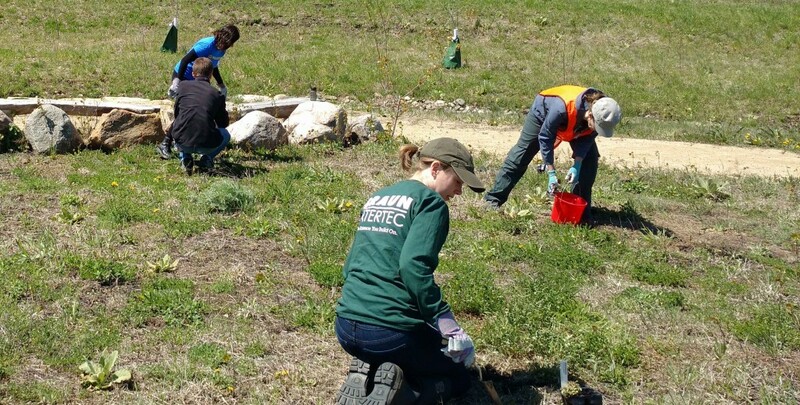 During an Arbor Day event held at the Trout Brook Nature Sanctuary, a group of Braun Intertec volunteers helped plant 13,000 native grasses and wild flowers while more than 200 other volunteers planted 700 trees and shrubs. The Trout Brook Nature Sanctuary is a 42 acre site, located in St. Paul, MN, which had a long railroad and industrial history that destroyed the natural valley and brook. Over the past several years the area has been transformed into a nature preserve. Braun Intertec has volunteered at this event over the past several years to help repopulate the sanctuary with native trees, bushes, and plants. 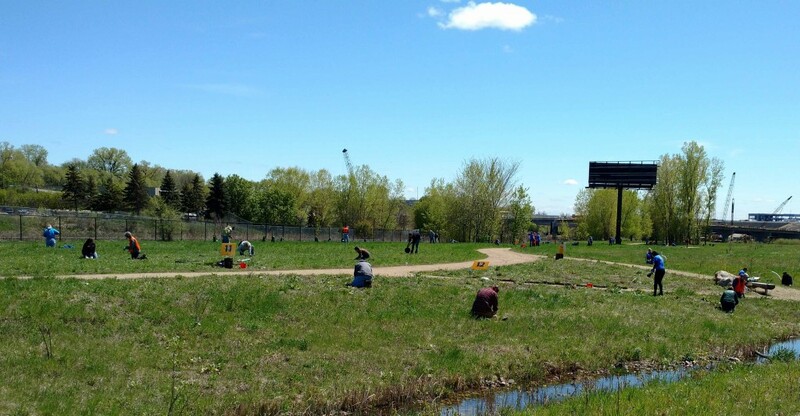 After this year’s event, Great River Greening indicated that the sanctuary plantings are now complete.